6 Sigma was first used at Motorola as a client of the Juran Institute, which had been founded in 1979. The 6 Sigma concept can be traced back to Juran’s 1964 book Managerial Breakthrough. He referred to ‘breakthrough improvement’ and contrasted it with incremental improvement that typically lye in the 5 – 10% range. DMAIC is a framework that standardizes how projects are managed and delivers the breakthrough improvement that Juran referred in 1964. In this article the Define Phase of the DMAIC process will be explored and some of the tools used. The Define phase provides the team with the opportunity to clarify goals and the potential value of the project. 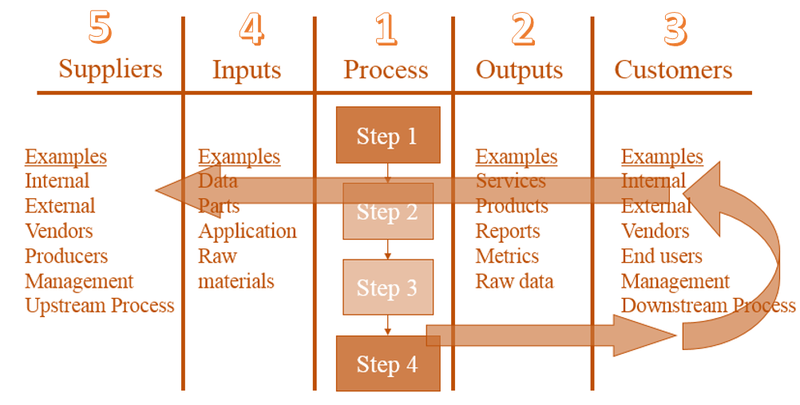 Some outputs should include a Process map, Critical to quality steps and finally a project charter. A SIPOC diagram provides a process view of how your company goes about satisfying a particular customer requirement and enables the identification of opportunities to improve. Start by brainstorming with the team about outputs. Outputs can also include requirements. For example, each product produced may have a tolerance level to meet quality requirements.If you have a lot of outputs, focus on the critical few. Getting started the right way is critical – properly identifying suppliers and customers is necessary, using SIPOC can help identify the players. Next, identify those people or processes that receive the output.Take special note of any downstream processes, do the outputs of this process match the inputs of the downstream process?List the customers on the diagram. Now we turn our attention to the process inputs.Inputs can also include requirements. For example, raw materials may have a purity level to meet quality requirements.If you have a lot of inputs, focus on the critical few.List the inputs on the diagram. Finally, identify the people, systems, or upstream processes that supply the inputs.Take special note of any upstream process, do the inputs of this process match the outputs of the upstream process?List the suppliers on the diagram. The purpose of SIPOC is to map the process in order to achieve good process improvement ideas, a company must understand exactly what is involved in the process if they want to improve that process. 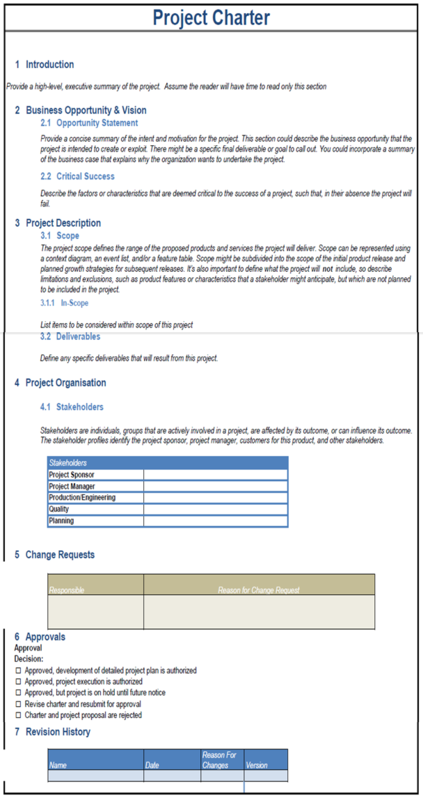 A project charter is a great way to formalize the communication and project approval process, below is an example with sections explained. We really hope you have found this article of value and that it has inspired you to learn more about 6 Sigma & DMAIC – The Define Phase, just remember the hardest part of any journey is getting started but once begun you will learn it’s an enjoyable and rewarding experience that can improve your organization’s culture and performance in a very positive way.